My last haircut cost me $70.00. I am not complaining, because Michael does a wonderful job. He has worked with me through many photos (I want my hair to look like this) and has been patient in getting a look I am proud of. I believe his rate for a typical male cut is maybe $25 or $30. He is good so feel I am getting my money's worth for what is a complex female style. That is not always the case when shopping as a female. I have been shocked by some of the differences. 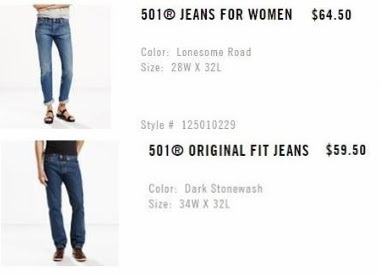 Not just prices but in overall treatment and attitudes toward women. I sat in my cubical one day at a job while a vendor made a presentation on credit card processing. I had already written a system to batch process the transactions that was currently saving the organization thousands a month. However I was not invited to a "good old boy" financial committee meeting to discuss changes. My cubical was in direct line of sight of the conference room. At my very last job I was intimidated (bullied) to make changes that my boss just assumed I would do and not question. I did question. On job interviews I have come face to face with both gender and age discrimination; being told I was over qualified; had an energy level that was too high; would become board and lacked the technical skills needed. You can't be serious on that last item? The video below is by Vivienne Ming. It is about her personal experience discussing how men generally enjoy preferential treatment. How would she know? Until 2007 the American neuroscientist was a man. She has been analyzing the financial disadvantages of being a woman in the US tech industry. Interesting. Aside from the main message, what is with the fixation on her hands in the video? It seems like the producer wants to make it clear that she's trans because she has those "man hands." I realize that I may be sensitive to the problem of never being able to change my hands, even if I can surgically or chemically change other parts of my body in order to make them more feminine. So many close-up shots of her hands, though, are not necessary to make the point that women are at a financial disadvantage; just that trans women are at a physical disadvantage - no matter what the children believe. I did not notice - good catch and question. I have to say, though, that her hands are much nicer than mine! If I had you hair, given the great results, I would 'throw down' and not quibble with a the well spent dollars. I have the family pattern baldness, so I just give myself a 1/8" buzz cut (acts like velcro on the wigs) and go with various wigs-- I am up to about 25 different styles and colors.